A vehicle crash claimed the life of a Gary man on east bound I-80/94 just east of Cline Avenue. It happened around 3:35 a.m. on Monday, April 15, when a 2011 Buick was east bound on I-80/94 just east of Cline Avenue and, for unknown reasons, the Buick went off the roadway. 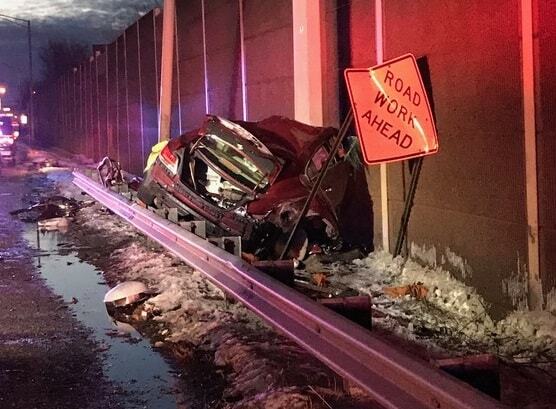 The car hit the sound barrier wall on the south side for approximately 100 yards before hitting the Burr Street exit sign. This caused the front wheels of the car to come off and hit a light pole which then collapsed on top of the exit sign. Debris was also thrown up onto the I-80/94 roadway where another vehicle struck the debris. The driver of the Buick, Robert Horton III, 38, was pinned inside the car and had to be extricated. He was pronounced dead at the scene. Speed was a factor in this crash and alcohol maybe a factor, pending toxicology results.